2019 Sunday Couples Fun Night ! 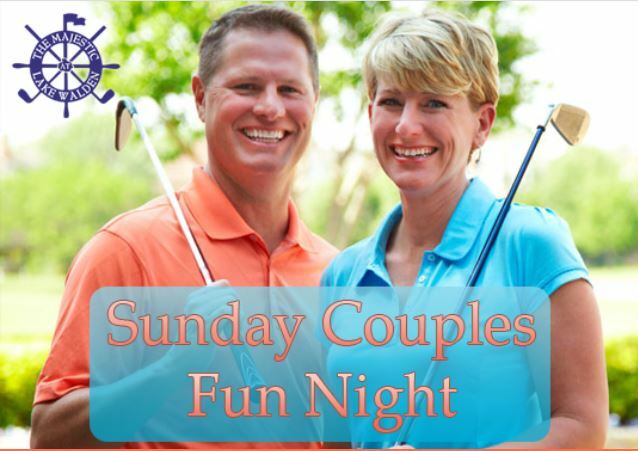 The Majestic at Lake Walden is pleased to bring back Sunday Couples Fun Night! This is NOT a league; it is non-committal and has a non-competitive format. Couples will pair up and play nine holes of scramble golf. Bring some friends to add to the fun! Please reserve your spot in the proshop or call (810) 632-5235 . Time: Tee times will begin between 4 and 6pm. Includes: Two nine-hole rounds, a cart, $3 that goes into the prize fund, as well as a sandwich, chip, and fountain pop.